Crisis aboard the International Space Station! A vital component has broken, what do you do? Well print a replacement of course. Had your car stolen? Never mind print a new one. House flattened by a natural disaster? It's ok, don't worry, just print a new one. Perhaps you just desperately need some new clothes for a night out?, yes, you've guessed it just print some off. This may all sound like something straight out of a science fiction novel but the technology already exists in the world today, and in the not too distant future this technology could revolutionise the way the world works, including areas such as medicine, food, clothing, transport, buildings even replacement limbs or organs could soon be printed at the touch of a button. 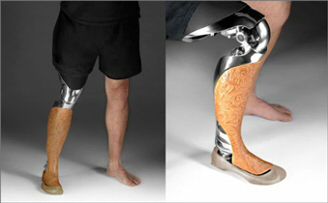 The technology is 3D printing and the possibilities it holds are limited only by our imaginations. 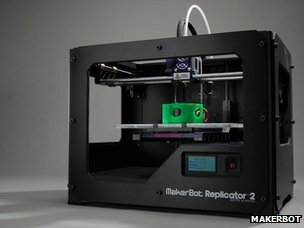 3D printing has been around since the 1980s, however it is only in the last few years becoming more accessible to the general public, this is due mainly to the rapidly falling cost of the 3D printers themselves, you can now own one for as little as £125 (MakiBOX printer). The way the technology works is by using a 3D model image created by Cad Software (Computer Aided Design) once you have created the design for your object just hit print and then the magic begins. The printer will then lay down whichever material you are using (ranging from chocolate to metal) and build it up layer by layer until you can now hold in your hands a tangible object that until that point had only existed in your mind. 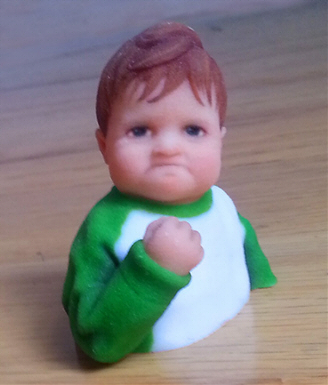 If you don't have access to a 3D printer you can even send your design to one of the many 3D printing services now available and they will send you your finished design in the post. The medical implications of this technology are already substantial, Earlier this year a patient had 75% of their skull replaced by a custom made, 3D printed Titanium implant, another patient was fitted with a Titanium replacement jaw, but the future possible uses could revolutionise the medical world and the benefits could be huge. Lee Cronin a chemist working at Glasgow University is using the technology with the goal in mind of printing your own medication! His vision is to use an application which can be used to download the blueprint of the drug you require and simply create it using the 3D printing hardware, this would eradicate the need to visit your local chemist for your prescription and could also be vital in remote locations with no immediate access to medicine or immediately produce new vaccines in response to a new outbreak of a deadly virus. The work is also already under way to create not only replacement bone fittings as I mentioned but perhaps entire organs or body parts could be created in the not too distant future using ink jet techniques. This could be possible by layering living cells and building them up to form 3D structures, this work is only in the early stages but holds the potential to be one of the great medical breakthroughs not just of the 21st century but in human history. 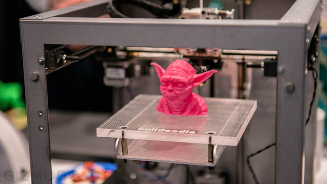 So 3D printing could be set to revolutionise the medical sector and the manufacturing sector but is there anything else, well the answer is yes, much, much more. 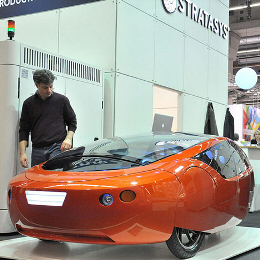 There has already been a vehicle created using 3D printing methods (everything except the base chassis and engine which will be metal), Urbee 2 (Urban Electric) was designed by engineer Jim Kor, who due to the inherent flexibility of the 3D printing process was able to create a vehicle by printing just 37 large, highly durable plastic body parts as opposed to the 100s needed to manufacture a vehicle using traditional automotive manufacturing methods. This reduction in the necessary parts required not only gives Urbee 2 a significant reduction in weight but also gives it incredible aerodynamic efficiency, these factors combined with the hybrid engine will (the designers believe) allow urbee 2 to travel from San Francisco to New York on just 10 gallons of fuel (pure Ethanol) which for those that don't know is a journey of over 2900 Miles! The same principles could be used to create incredibly light and efficient aircraft and could help significantly reduce emissions produced by all our vehicles. Architects have been using 3D printing as a cost effective method of creating scale models of their designs for some time but as I am writing this article there are several companies with the aim of creating a home using 3D printing each with varying methods. My favourite of which is “Protohouse 2” which will be 4 metres wide and 8 metres long and will have stairs, furniture and even curtains built directly in to the design. Their planned method is to print off 7 large sections that will fit on to a van or flat bed lorry then snap the pieces into place on site in just one day to create a home. 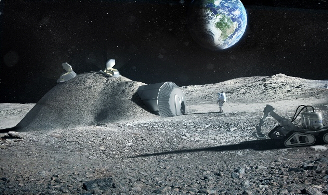 That may seem like a grand enough idea but NASA are considering taking the idea one step further and building a base on the moon! (yes you heard me correctly). The plan is to transport an inflatable structure to the surface of the Moon and once there they hope to use robots to create an outer shell using only the Moons indigenous material which is the soil, dust and fragmented rock known as Regolith. Its composition contains silicon, aluminium, calcium, iron and magnesium oxides which when printed would be strong enough to protect the 4 possible inhabitants at the base with the capability of extending the structure if required. Have you ever been really hungry and after a brief rummage through your cupboards been dismayed to find that they are bare? well imagine if in your kitchen you had a 3D printer capable of printing that burger or any other craving you desire. Well around the world several people are working on making this a reality. Jeffrey Lipton of Cornell University in New York is one of these people. He has developed a 3D printer that has the ability to print foods, building them up layer by layer until they form the finished product. He said "So far we have printed everything from chocolate, cheese and hummus to scallops, turkey and celery". This has been done to this point using the liquid versions of these foods but the long term aim is to create a range of what he calls “food inks” which would be created from hydro-colloids (substances that form gels with water). Modern Meadows are a company going a step further they are currently using a “3D bioprinter” to print living cells taken from animals and create raw meat that they are aiming to make fit for human consumption, they are still currently at the prototype stage but hope to move forward in the near future. There is obviously still a way to go until these food inks or a bioprinted meat can become a reality but if projects like this can in any way help with food sustainability for our planet in the future then this can only be a good thing. An estimated 50% of the worlds food is wasted every year. This is the equivalent of up to 2 billion tonnes of food according to a recent global food report. Could these technologies help in the fight against world hunger? It is hard to say at this point but they are certainly possibilities worth pursuing. There is also a darker side to all the possible applications for 3D printers. A self styled “Crypto Anarchist” in America has managed to print off the lower receiver of a semi automatic rifle (which is the only part of the firearm controlled by gun legislation in America, therefore it circumnavigates any controls) combined with regular parts and recently fired over 600 rounds from this weapon. This person is Cody Wilson and his company (Defence Distributed) aim to make the designs for this firearm open source so that anyone can easily print off their own deadly weapon. As I write this Cody Wilson is planning to unveil an entirely 3D printed hand gun eliminating the need for any conventional parts. The debate rages in America about whether this man is a hero or a villain, I for one can only interpret this as unequivocally villainous, especially at a time when gun control in the US is a major issue due to the seemingly perpetual shootings of innocents by individuals who are mentally unstable at best, or pure evil at worst. It sadly seems as though it wont be too long until any person that wants a gun can simply print one. Evidently 3D printing is going to play a huge part in the way the world works, and I believe that due to the price of these printers falling all the time, it is highly likely that within the next decade owning a 3D printer will be just as commonplace as owning a 2D printer is today. I also believe that the positive implications that this technology holds far outweigh the negative that some in society will always look to exploit. I for one am excited to see just how far this technology can go as it holds the potential to revolutionise not just one, but many aspects of our lives, and I hope after reading this you are too. 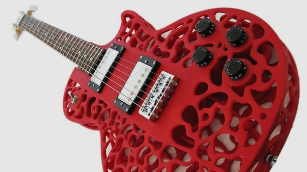 If you would like to check out some free open source designs to see just the sort of things that can be created by 3D printing check out the free to use site Thingyverse. Gallery, Images (top) & Video (bottom). Mini Documentary on Cody Wilson and Defence Ditributed. The above article and the opinions put forward are purely based of the Author Jamie Mulvey's views.